In this edition of the parkrun newsletter, we gear up for the 10th international anniversary of parkrun. We hear how the power of parkrun saves lives, substituting one addiction for another! Achieve your next PB with a few simple tips. Don’t forget to catch the Modern Athlete magazine online and Discovery Vitality’s health tip of the week. Ten years ago Paul Sinton-Hewitt C.B.E. started the first parkrun with 13 parkrun pioneers in London’s famous Bushy Park. Even he could have no idea that a decade later parkrun would have grown to the worldwide phenomenon that we see today. Now nearly 1.2 million people worldwide have registered for parkrun. These parkrunners run in 9 countries, at over 500 different parkruns worldwide and more than 10000 new runners join parkrun every week. It is too exciting and overwhelming to contemplate parkrun prospects for the next decade. parkruns around the World will be celebrating this 10th birthday in a variety of festive ways. 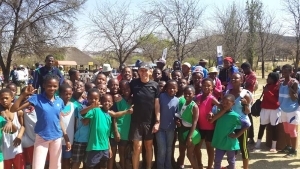 Even though parkrun South Africa is a mere toddler and is not yet 3 years old it should be fun to acknowledge this special birthday on October 4th. I would like to encourage all our parkruns to celebrate International parkrun day. If there are enough parkrun participants on the 4th October we may well break the Guinness Book of records for the most participants in a mass running event! You will all have received an email announcing that parkrun global has launched the parkrun online retail shop. My first purchase will be a pre-ordered parkrun books. (One on the history of parkrun the other a coffee table book of beautiful parkrun photographs.) We can also order parkrun branded adidas kit. Congratulations to Lerentia Strydom and her dynamic team on the launch of their lovely Middelburg parkrun. Grateful thanks to Oluf Eriksen for allowing Middelburg parkrun to be run through the Glen Cullen estate and for the stone and log lined path he constructed for parkrunners. Oluf even built a roofed building at the start and finish of the Middelburg parkrun to protect the volunteers on rainy days. This Saturday sees the launch of the Grahamstown parkrun under the guidance of Nicola Brown and her team. Judging from the flurry of registrations it seems that the academics and students in this city of education are keen to get both physically and mentally fit. It seems it was just yesterday the Rhoda du Plessis started our first Pretoria parkrun in the famous Voortrekker monument grounds. Now this parkrun will celebrate its first birthday on the 27th September. One of the most spectacular sights at this time of the year is the view from the top of the Voortrekker parkrun hill (Fort Schanskop). In October the Jacarandas are all in bloom and it seems that Fort Schanskop is floating in a mauve ocean. 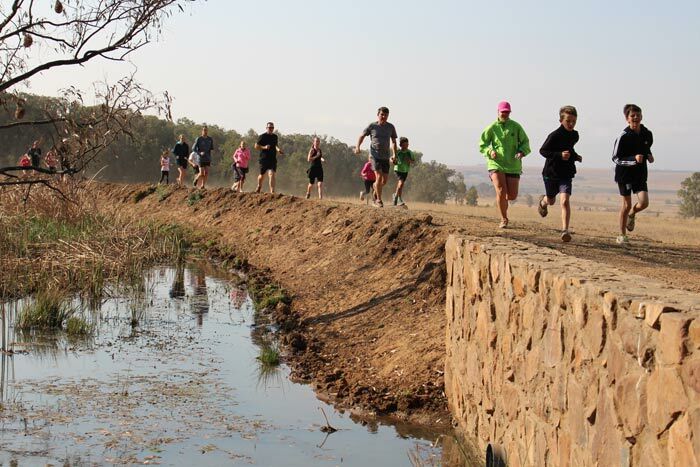 Visiting parkrunners are encouraged to plan to run Voortrekker parkrun in October or November to experience the parkrun at its best. I would like to share a little story of how Piggly Wiggly parkrun has had an amazing effect on my life. A few weeks ago a very good friend of mine asked me if I would join her for a run on Saturday (even though she thought I would decline). Anyway, I went along thinking to myself, 'I just have to do it this one time to make her happy'. I was a complete cocaine addict and border-line alcoholic also enjoying ecstasy on a regular basis. I was depressed with suicidal tendencies and have attempted suicide 3 times. I registered and did my first parkrun that Saturday. I had such a good time and felt so good and revitalised afterwards. My addiction has gone from drugs and booze to running and I don’t have to challenge anyone but myself to better my own times and get fit. Thanks to the great organisers of the Piggly Wiggly parkrun, and my amazing friend, I am now 5 weeks drug free. Ok, I still drink but only half of what I used to and I have a completely new outlook on life; no more depression and thoughts of suicide but just good happy thoughts and the most amazing healthy feeling. Please share my story and hopefully it will inspire more people to join this amazing event that has totally changed my life for the better and a massive thank you to all involved in making this possible. You have truly changed my life and, I'm sure, many others’ lives. The September edition of our media partner, Modern Athlete Magazine is available online now! Subscribe to Modern Athlete here. As your body starts ageing, your immune system becomes weaker, making it easier for infections to occur. Ensuring that you are having the correct immunisations at the right time and getting enough dietary vitamins and minerals, will prime your body’s self-defence system to fight off infections more effectively. The adivan will be visiting Nahoon Point parkrun this Saturday, 27 September, for the final leg of their Woman’s Month celebration. Everyone is welcome to test out the stylish range of adidas running shoes. See you there! How do I improve my parkrun time / set a new PB? There are many ways of improving your parkrun time. The first and simplest answer is run a flat course at sea level. In South Africa, many of our parkrun courses offer a challenge of some sort, for example, a slightly hilly course or a stretch that runs along the beach sand. Obstacles such as narrow bridges can also slow your time significantly. The second way to achieve a faster parkrun time is by entering into a 5km training programme. To improve your pace, you need to train several times a week and include an interval session. Warming up before setting off at the start of parkrun will ensure that your muscles are already in a state of readiness and it will help to avoid strains or pulled muscles. Have you run all your life? : I started walking every morning about 20 years ago but never thought I was fit enough to run. I started running when I started parkrun and I continue to surprise myself by going further and faster every day. What makes you get up every Saturday morning for parkrun? : I know I am going to meet up with wonderful friendly people who all enjoy running or walking. Do you live in St. Francis, or do you have to travel far each Saturday? : I’m lucky enough to live in St. Francis Bay and very close to the parkrun course. What would you say to other parkrunners to keep them motivated? : Life is precious and short, so look after your body and health – parkrun is the ideal way to exercise and have enormous fun. My first parkrun’s time was: 37:59, and my Personal Best last week was: 30:42. My aim and target is to achieve a time of less than 30 minutes by November 2014. My health and sense of well-being has never been as good as it is right now, and that’s mainly due to the fact that I run at least 3kms every day. There are so many parkrun courses all over the world, and I’m such a keen participant, that I have parkrun in Cape Town and London – but nothing beats St. Francis Bay’s course and the people who volunteer and organise it every week for making it a friendly, happy parkrun no matter what the weather. Ebotse parkrun has been cancelled this weekend, 27 September. In this edition of the SA parkrun newsletter, we hear encouraging stories about some amazing feats by our parkrunners. We learn, once again, that these achievements would not be possible without our amazing volunteers. Discovery Vitality brings us more health tips and the adivan will be visiting more parkruns in your area. So it seems that spring has finally arrived as the sun greeted parkrunners all over the country last Saturday. The warm weather resulted in some large fields at a number of our parkruns with a couple even recording record numbers. 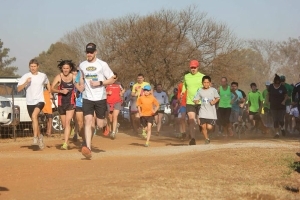 In all almost 10000 South African parkrunners ran on Saturday morning. North Beach alone had well over 900 parkrunners enjoying the balmy Durban weather while some 850 parkrunners at Rietvlei in Johannesburg South celebrated spring with flowers and brightly coloured outfits. Congratulations to Shawn and Toni Mackrell and Justin Christison and team for the wonderful job they are doing for the Johannesburg South community. 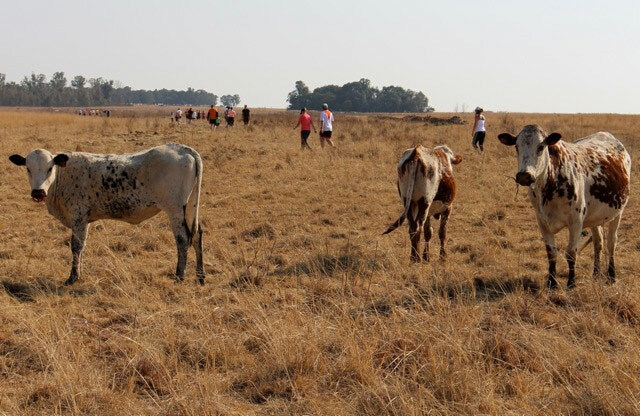 Later on that morning the Gauteng schools ran their cross-country championships over part of the Rietvlei parkrun course. As we all know, from time to time parkruns have to be cancelled. It’s always regrettable and our volunteers try hard to avoid cancelling a parkrun but occasionally it has to happen. We would like to encourage all parkrunners to consult the website and all social media to check for cancellations. There have been a couple of instances where parkrunners have travelled a great distance only to discover that the parkrun they wanted to run has been cancelled. On that note please will everyone take note that Greenpoint parkrun will be cancelled on the 20th September and Ebotse parkrun will be cancelled on the 27th September. It is really gratifying to see the numbers of 100 club members growing each week. At the moment there are almost 25 parkrunners who have earned the coveted black shirt with more to come each Saturday. 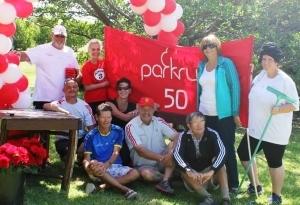 When Delta, Roodepoort, Nahoon Point, and Ebotse parkruns started in 2012 they concentrated on establishing themselves as ongoing parkruns and with little idea that their most loyal runners would earn 100 club shirts in just over two years. This month we look forward to welcoming Middelburg parkrun and Grahamstown parkrun to the parkrun South Africa family. We have no doubt they will be very popular both with their local communities and parkrun visitors. We also have no doubt that some of their early loyal runners will join the 100 club in just over two years’ time. Often a sport or physical activity works only certain muscle groups. Cross training combines a variety of exercises or sports to work various body parts, allowing you to improve your overall performance and fitness. One of the most gratifying reasons for becoming involved in the management of a parkrun event is to have an opportunity to watch runners and walkers progress from strength to strength over the course of several months. As a parkrun director at Bryanston parkrun in Johannesburg, the highlight of my Saturday morning is to greet familiar faces who week-on-week improve their times, slowly lose weight, get into shape and start to have more and more fun. One such runner at Bryanston parkrun is Clayton Vetter. Clayton has participated in 10 events at Bryanston since our inaugural run on 25 January 2014. Of these, Clayton has run seven PBs (personal best times), improving his time over 5km almost every time he runs. Over the past 7 months, Clayton has shed 15 kilograms and 11% body fat, transforming himself into a lean-mean-running machine. The results have truly been fantastic! 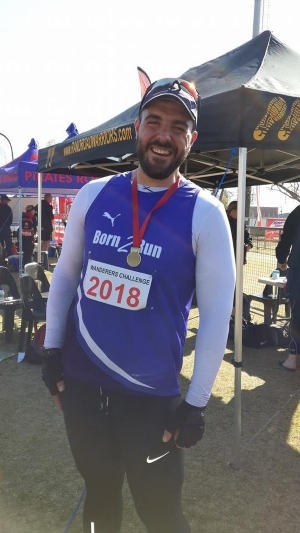 But wait, it gets better… inspired by his fellow parkrunners and having joined one of the local running clubs based in Bryanston, Clayton has started to take part in longer events such as the Wanderers 21.1km, the Old Eds 21.1km and most recently the Gauteng Challenge Half Marathon. On 5 October 2014, Clayton will run his first full marathon in Brussels, as a team member for his local club. We wish Clayton all the very best for his race and look forward to seeing him tear up the turf along the Bryanston spruit! At Sunrise-on-Sea parkrun there are volunteers that have really become part of our event, that is, our ‘parkrun family.’ The picture below show a few regulars who have missed out on very few Saturdays and always with very good reasons. This buy-in from the community (they are all local residents) makes the organisation of parkrun a real pleasure. These volunteers make organisation easy by contacting the run director if they cannot attend an event. They then get someone to take over their volunteer role for that day. This arrangement works very well for us. There are other volunteers that work on a rotational basis, but this core group takes care of the most important tasks. Some of our regulars, not in the photo, for instance; Leslie Ronaldson, started in August last year and has not missed an event since. He will soon have volunteered more than 50 times. Rene Kopke has moved into the timekeeping slot and is now also regarded as a core member of the team. I must mention that not one of the core volunteers is a runners or a walker and they all prefer to be involved in volunteering. Unfortunately Les will be moving to Cape Town in October and I am sure he will continue his duties at Big Bay as his wife Marika is a red club member who will drag him along. Our loss is Cape Town’s gain. I believe someone else that is unique to Sunrise-on-Sea parkrun is Tia-Marie Taljaard, who has run all 87 runs including our trial run. She will soon join the 100 parkrun club, having not missed a single event. We anticipate celebrating that milestone with her on 28 November 2014. A story just for interest. My wife was told she was free of liver cancer on Friday after 16 months including three operations and many months of chemotherapy. An unexpected surprise. 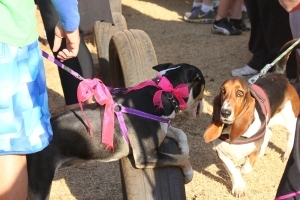 On Saturday she walked the parkrun at Rondebosch Common in 58 minutes and 20 seconds. She nearly stopped after the first lap but she said she was determined to finish. She was so chuffed to have completed the 5kms. When the results came she saw she was 5th last and could not believe that she was not last. So thank you, your committee and the volunteers for making her day yesterday. You guys can be so proud of yourselves. parkruns are such an amazing way to bring people from all walks of life, all levels of fitness, each with their own goal. I have been running, for 22 years now and am still competing in my age group, therefore, follow a training programme. I have only done 4 parkruns, but have absolutely loved the concept. It is so easy, so quick and no money exchanging hands. Just you, your watch and your goal. I just smile when I see old, young, fat, thin, fit, not so fit, dogs, wheel chairs and whatever, all together, doing the same thing. It is such a great motivator for someone who does not feel comfortable entering official races and once they do their first one, they then set themselves goals, encourage friends and family to join them and have a blast. I just love these runs and just love seeing all these wonderful people achieving the same goal. Good on you all and to the wonderful volunteers who make it possible each week. I'd like to thank you so very much for the wonderful opportunity you have given me to be such an integral part of PE Hobie Beach parkrun, and parkrun SA. Thank you for your trust, guidance and assurance in allowing me to make PE Hobie Beach parkrun the great success it is today. Without your involvement and advice, it would never have been possible. I know one of the main parkrun mantras keep saying "without the volunteers parkrun is not possible", but so often people forget that it's all the behind the scenes organising that takes place every single day by the three of you, that keeps parkrun going along so successfully. This has without doubt, been one of the most phenomenal volunteer journey's I have been privileged to be a part of. The experience to be part of something so much greater, to bring an inaugural event to one of largest cities in South Africa, and to see it grow at such a rapid pace all within a 55 weeks is something I will never forget. The people I have been able to meet, the friendships created, the results witnessed - all form part of something so much bigger than just a weekly timed 5km run. It's parkrun. Every single part of Event Directing at parkrun has taught me something which I will forever be able to use in my skill set for the future. I wish I could explain the level of gratitude I have for this journey, all provided by an opportunity you gave me in April 2013. Thank you so very much.